Discover your roots through Torah Study classes in a wide range of topics. Do you have a circle of friends interested in learning more about their Jewish heritage and traditions? Do you know a few acquaintances who would like to join in a new Jewish learning experience? 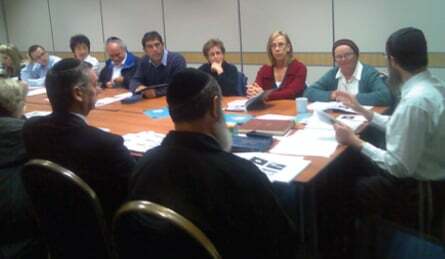 Chabad of Downtown is now offering an exciting program: a 60 minute, “Round Table” get together at your home or office, covering anyone of the following topics: Mysticism, Biblical Insights, Prayer, Talmud Study, Jewish Medical Ethics, Business or Social Ethics, Jewish History, Moshiach, or any other topic of interest. All it takes to organize these informal classes is a small group of a few individuals with a thirst for Jewish knowledge. If you can generate the interest, Chabad will be happy to teach these informal learning sessions in the privacy of your own business or home.